Covering four counties (cities) and four districts, Zhanjiang Mangrove National Nature Reserve (ZMNNR) situates at the southernmost tip of Mainland China on the Leizhou Peninsula of Guangdong Province. ZMNNR had a total area of 20278.8 ha, 9200 ha of which were covered by mangroves and accounted for 78% of all mangrove areas in Guangdong province and 33% of the national total. It was a nature reserve with largest mangrove area with a rich biodiversity in the mainland China. An inclusion into the Ramsar list in January 2002 enabled the reserve to become an internationally important area in protecting biodiversity and ecosystem. In 2006 the reserve was appointed as a national demonstration reserve. There were 51 demonstration reserves in the whole China, 2 of which were located in Guangdong province. 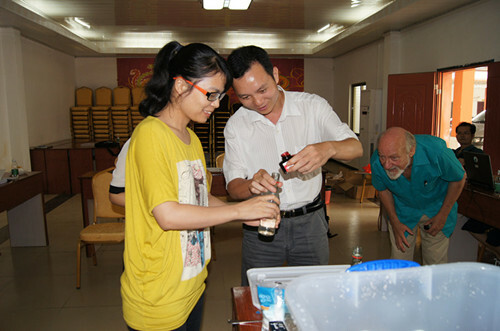 In August 2012, ZMNNR was included into MAB (Man and Biosphere, China) to become a member of the MAB (China) Network. The greatest result achieved by ZMNNR since its establishment is the almost-stop of deforestation for the purpose of shrimp and fish farming due to its legal enforcement and patrolling. Three levels of resource management system “headquarter-field station-protection plot” were set up. Resource management was enhanced further with an establishment of a mangrove police station by the reserve in early 2012. Natural resource was increased greatly. 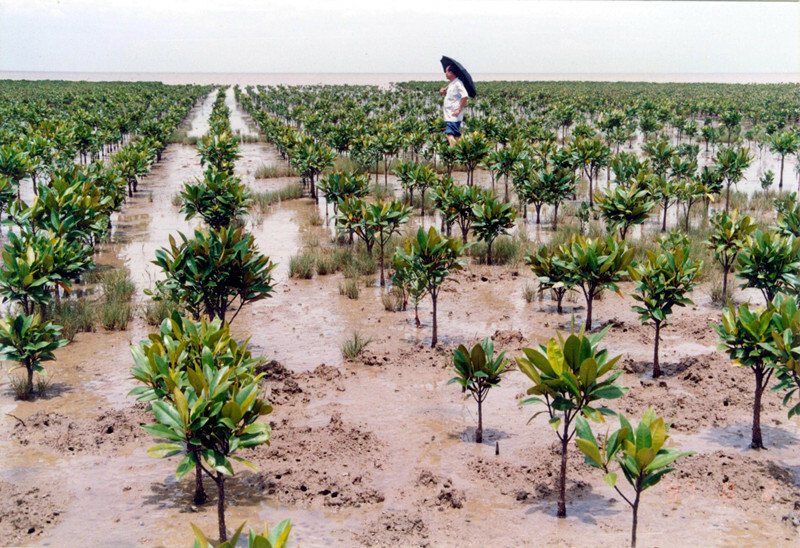 For instance, the resource survey in 2002 and 2009 separately recorded 7,256 ha mangroves and 9,200 ha mangroves. It showed the mangrove area of the reserve has increased. In addition, the waterbird survey conducted by ZMNNR for 10 years in a row showed that the population and species of birds in the reserve were kept increased. The surveys carried out in the fixed observation points in 2002, 2008 and 2010 separately recorded 908 birds, 2377 birds and 5319 birds. Mangrove resources were restored with contributions from government input etc. Until now, the reserve has successfully planted about 1500 ha, which helped the mangrove area of ZMNNR increase to 9200 ha from 5800 ha in 1985. Now the planted mangroves have played a great role in dyke protection and biodiversity maintenance. Since 2001, cooperated with 5 universities or research institutes, ZMNNR has carried out the following six inventories including mangrove inventory, fish and shellfish inventory, bird survey, social economic survey of community etc. The survey on mangrove plantation was done by the reserve itself. In 2009 ZMNNR became the first nature reserve in Guangdong having GIS system built completely by the reserve’s technicians. ZMNNR also established a long-distance resource real-time monitoring system for important mangrove areas. ZMNRN carried out the environmental education in an active way through three platforms including a mangrove education center, a field education site, and the reserve website. A series of activities were held to increase the public awareness including a photo competition, the 8th Asian Wetland Celebration Week, development of a mangrove curriculum with cooperation of MAP, appointment of 12 pilot schools in environmental education etc. 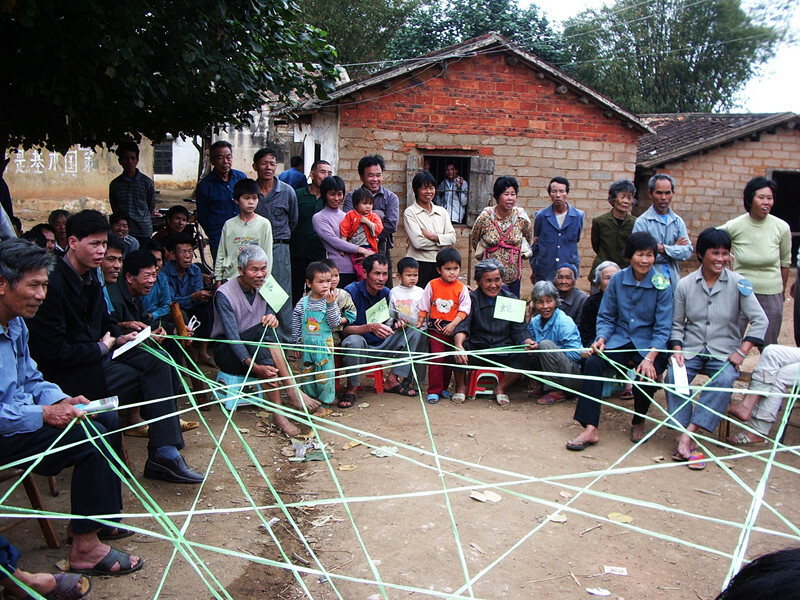 ZMNNR has tried community co-management in Gaoqiao where 4 villages were selected as pilot villages to implement a community co-management plan. ZMNNR funded the pilot villages in constructing cultural room and water conservancy project etc. Living and production conditions of local people were improved. Different groups and individuals got involved in mangrove management by signing agreement with ZMNNR. 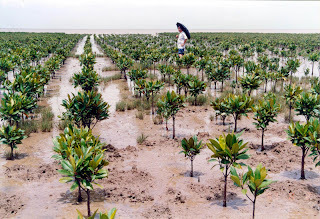 From 2001 to 2005, ZMNNR successfully implemented a Sino-Dutch mangrove project. In addition, 2 international exchange activities were held. ZMNNR established a cooperative relation with several universities and NGOs abroad such as University of Norway, the Wetland International etc. ZMNNR consisted of 68 protected areas and distributed along 1,500km coastal line of Leizhou Peninsula. Difficulty was anticipated to effectively manage natural resource in the reserve solely depending on the reserve and its administrative staffs. Active participation of people living adjacently in resource management was the most effective solution with a realization of community co-management within the reserve. ZMNNR finished its boundary demarcation in 2005, and the demarcation only clarified administrative scope and area of the reserve without specifying jurisdiction. For the purpose of acquisition of exclusive management right and usage right, there was a great need for ZMNNR to obtain tenureship for the demarcated protection areas.